Come to Whidbey and stay at the Blue Goose Inn during the April and enjoy the quiet, romantic luxury of the Blue Goose Inn and our hand-crafted breakfasts for the lowest prices of the season. 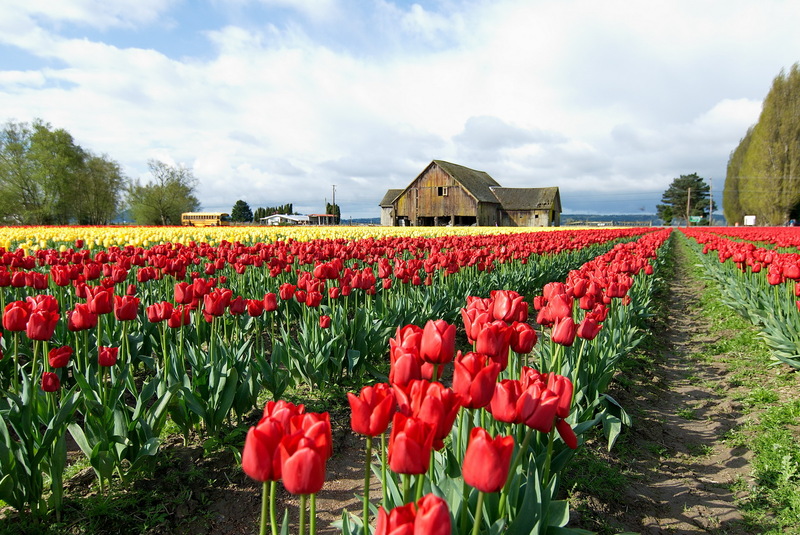 Visit the tulips of Skagit Valley on your way to Whidbey and experience the beauty of Northwest Washington's finest scenery in springtime, or visit the many gardens on Whidbey all spring! An additional 10% off our low off-season rates will be applied automatically at check-out when you book two or more nights! Enter the promo-code: WIBBA-SS at check-out. Check Availability. Red and yellow tulip field in Skagit Valley, captured April 2015 by D.Broberg.